Solve your Credit card & :Loan Problems. Stop illegal agents Harassment. 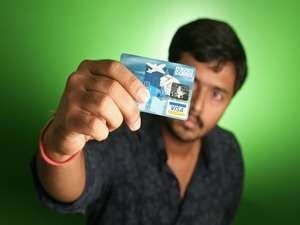 The government on Thursday decided to limit the fees that banks receive on debit cards on transactions below Rs. 2,000/- to 0.40 percent which is against the 0.90 percent set by the RBI earlier for the first quarter of 2018. The government notified that it will support the Merchant Discount Rate (MDR) applied on shopkeepers by banks on debit card charges on transactions less than or equal to Rs. 2,000/-. The MDR on such transactions will finally become zero for the merchant and hence, they will become at par with cash transactions. The finance ministry explained lowering of fees for banks which was recommended by a panel looking into reimbursement of MDR. The issue on who will bear the charges on debit card transactions has seen several twists and turns. While the government had announced a complete waiver during demonetization, the RBI had subsequently introduced a system where the charges were lower for low-value transactions and not a complete waive-off. Also, banks have been told not to have a 'bundled' charge for debit cards and credit cards. Since, most of the debit transactions are below Rs 2,000, banks will end up receiving only 0.4 per cent MDR on most debit card transactions. However, on transactions above Rs 2,000, MDR would be applicable on the full transaction value. Following opposition from banks, this was replaced with a system where merchants with turnover of over Rs 20 lakh a year would pay 0.9 per cent and smaller merchants would pay 0.4 per cent. Even as merchants were opposing this saying that 0.9 per cent was too high, the government stepped in and said that it would bear all MDR on debit cards for two years. A similar move to reduce charges on credit cards would also be welcomed. More efforts and user friendly moves would curb cash transactions to greater extent and help build India into a cashless economy. Solve your Credit card & Loan Problems Call @ 9962999008.